You are here: Home / Cat Brush / Brushing Your Cat: How Much is Too Much? Brushing Your Cat: How Much is Too Much? Cat lovers out there know for sure that grooming is an indispensable aspect of taking care of your pets. Because of this, we would want to know the right way of doing so, as not doing it correctly could definitely cause more harm than good for our beloved furry pets. One of the ways through which we can groom our cats is for us to brush their fur every now and then. This leads to the question of how often to brush cat, to keep their furs shiny and healthy-looking. If you also want to know this, then this article aims to answer this very common inquiry among cat lovers. How Often Should Cats be Brushed? Unlike dogs, cats need more frequent brushing, as they are more prone to shedding fur than others. 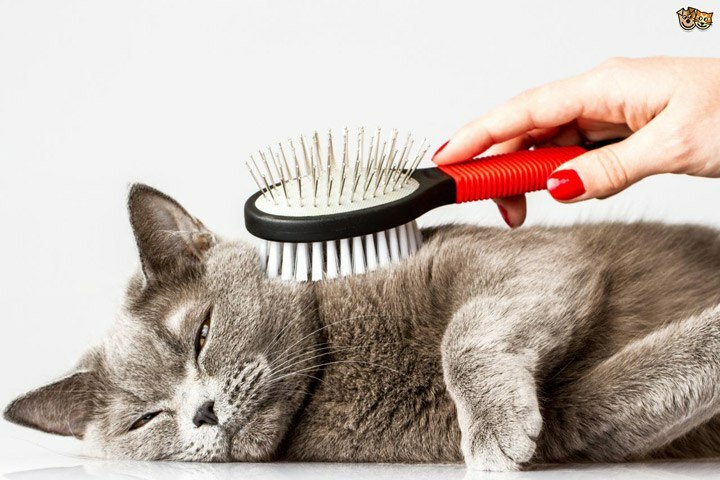 Even if cats are able to groom themselves, brushing them reaps a lot of benefits, especially on your part as you would have to deal with less stray hair. If you have a cat with long hair, then you ought to brush every day, ideally early in the morning. If you have a short-haired breed cat, then several times a week, maybe 3-4 times would be sufficient. Another factor to consider is how much of their fur falls off. In times when a cat is shedding more frequently, such is the case when they are stressed, or during the so-called “shedding season”, which usually happens during the spring, when temperatures get warmer, and also during the fall, when more old hairs make way for much thicker fur to keep them warm during the cold winter season. Despite these “seasons” though, as with humans, each and every cat is different and some may shed more frequently than others. The moment you see them shed more usual, this is the best time to brush your cat in order to reduce the chances of them developing hairballs, which, while normal among them could turn out to be unhealthy in the long run. 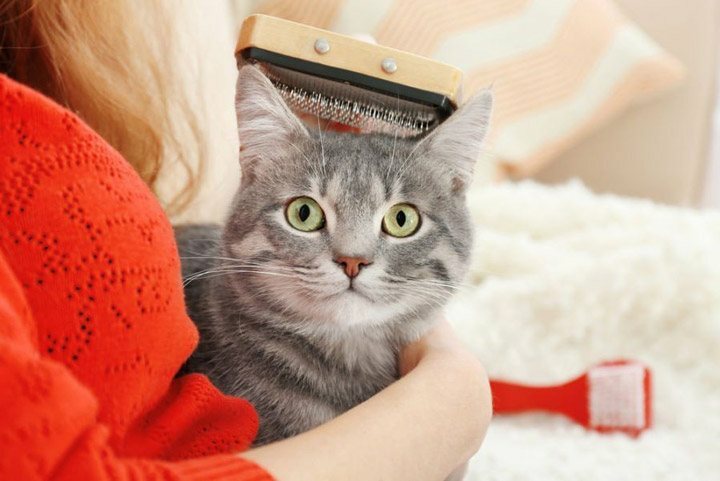 While it’s important for you to know the right frequency when it comes to brushing your cat’s fur, it’s equally important to know exactly which type of tools you would be using. These include brushes to gently remove stray or weak fur on your cats, as well as shampoos and other products that help to remedy hair fall. Even if shedding fur among your cats is normal, other factors could also trigger this, one of which is the lack of nourishment or nutrients for their fur. To help keep your cat’s coat nourished and fit for grooming, make use of a shampoo that’s packed with nutrients, specifically fatty acids. Unlike dogs, some cats may need to be brushed every day. In order for that to be possible, you would have to make use of a brush that could cope with this need of yours. One of the brushes that are made for this particular purpose is the Safari Cat Self-Cleaning Slicker Brush, made especially for cats to prevent them from shedding too much. After all this, we have come to realize that it is not just important to know how often to brush cat, but also know the right kind of materials to use whenever you brush your cat. There are a lot of factors that have to be considered, and these are just some of them.